The Black Belt is a subdivision of the East Gulf Coastal Plain physiogeographic province. 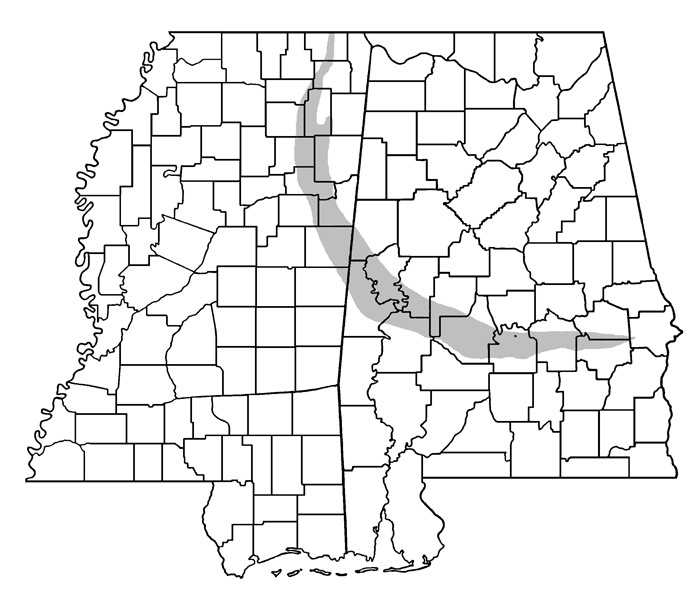 It forms a cresentic region extending from McNary County in extreme southern Tennessee, south through east-central Mississippi and east to Russell County, Alabama near the Georgia state line. The region is approximately 310 miles long and up to 25 miles wide, but narrowing at its northern and eastern extremes. The entire region is underlain by Selma Chalk formed from Upper Cretaceous marine deposits. Depending on the exact consistency of the parent material, the chalk weathers into a variety of soil types which supports a mosaic of habitats ranging from prairie to forest. Areas of prairie are typically on well drained, slowly permeable, alkaline soils, whereas the oak-hickory forest of the Black Belt are associated with strongly acidic soils. Map of Alabama and Mississippi showing the Black Belt Region in gray. The Black Belt contains three major plant communities: open prairie, chalk outcrop, and forest. 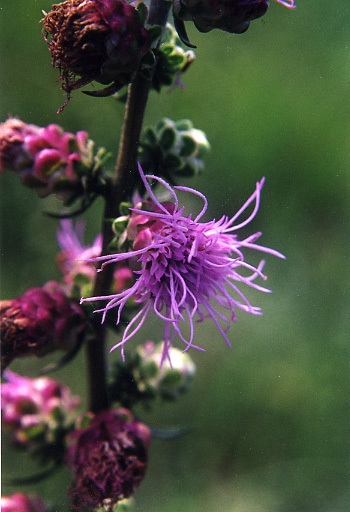 The open prairie habitat includes several endemic and rare species of plants and insects. In addition many species are disjunct from Great Plains. This suggests that a grassland corridor connected the two in the past. Although no pollen core samples are available from the Black Belt, a study of the macro-vertebrate fossil assemblage reveals a community of grazers, including 2 or 3 species of Equis horses (Pers. Comm., George Phillips, Curator of Paleontology, Mississippi Museum of Natural Science). in the Black Belt region. The flora of the Black Belt Prairie is usually dominated by little bluestem (Andropogon scoparius Michaux), as well as many other species of grasses and herbaceous plants that are characteristic of the Great Plains (Black Belt Prairie Plant List). This floristic uniqueness combined with scattered records of uncommon taxa of various arthropods in the Mississippi Entomological Museum stimulated the initial collecting of moths and other insects in prairie remnants, and later in oak-hickory forest remnants in the Black Belt. 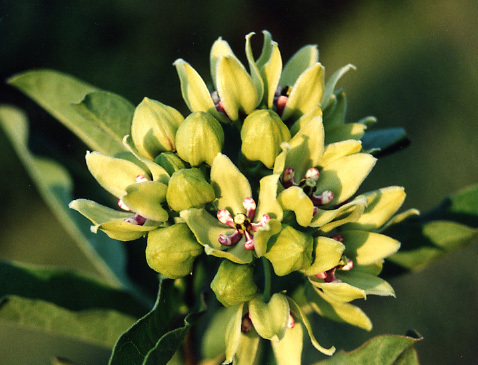 Asclepias viridis, commonly called green milkweed. Most of the public of Mississippi and the Southeast are unaware of the fact that within the last few hundred years, a considerable amount of prairie was present in both Alabama and Mississippi. Although the prairies found in this area were not nearly the size of those found in the the Mid-west, these prairies were still quite large, covering at least 71630 hectares (17700 acres) in the Black Belt physiogeographic region. (Pers, comm., John Barone.). However, due to the regions fertile soil, much of the prairie has been lost to agriculture and has been reduced to small remnants, and it is estimated that less than 1% of the Black Belt's open prairie habitat remain intact. 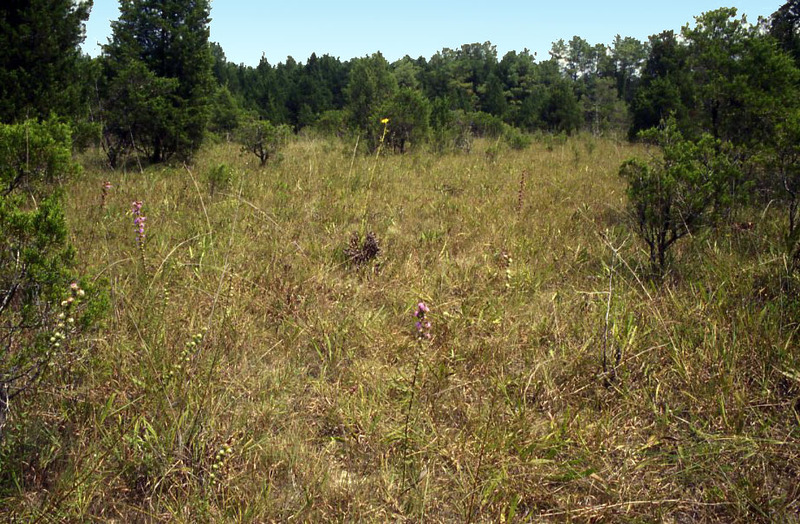 Remaining prairie remnants are also threatened by development, erosion, incursion of eastern red cedar (Juniperus virginiana L), waste disposal, suppression of fire, and other human activities. In recent years, areas in several of the higher quality prairies have been disturbed by people doing recreational driving and planting green-fields for deer hunting. 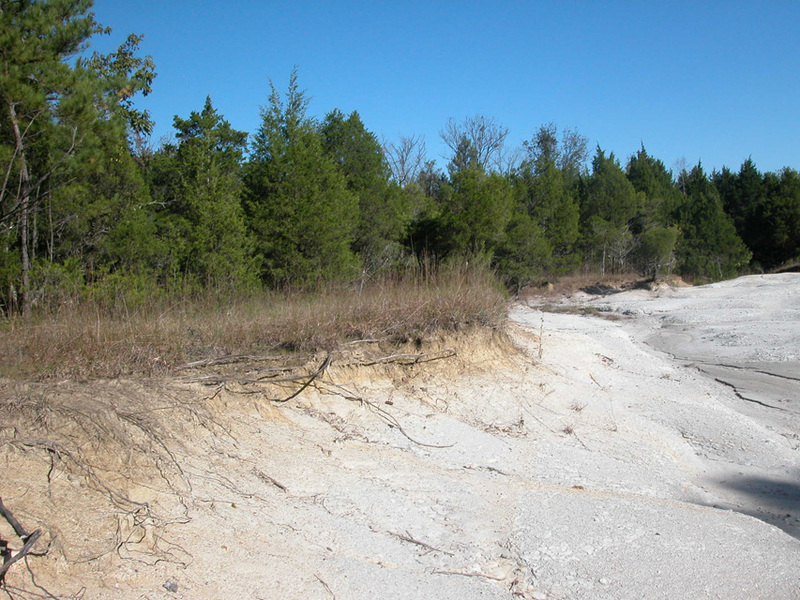 This photo shows an example of erosion at its worst at one of the better prairie sites in Osborn, Mississippi. 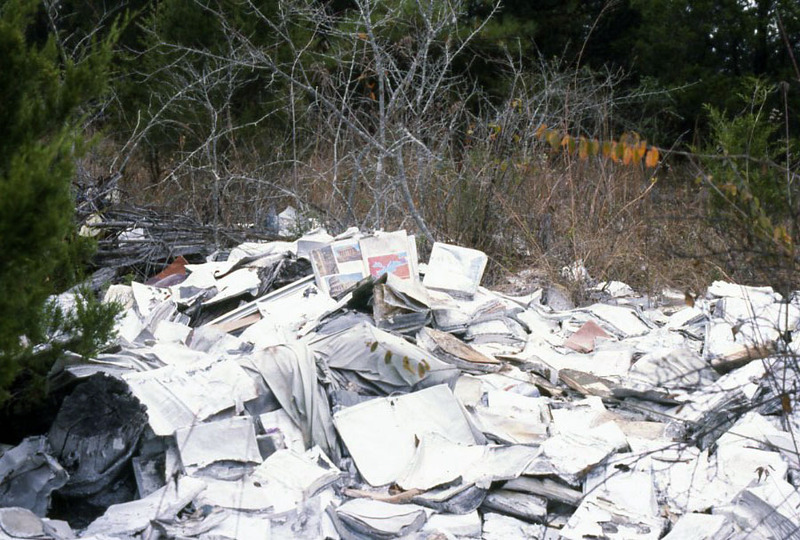 Dumping of Garbage has been a problem at some prairie remnants. 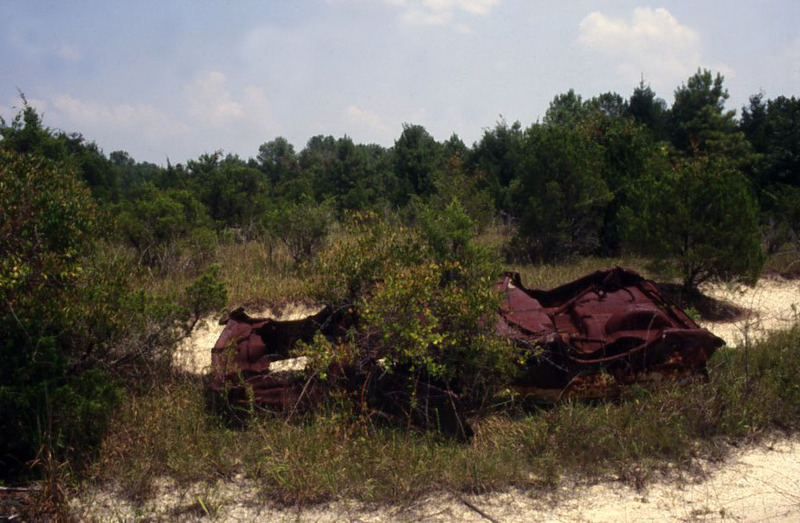 Old cars at 16th Section Prairie in Oktibbeha County. Small remnants of Black Belt Prairie can still be found along roadsides and fence rows. However, there are a few "good" quality remnants remaining. One is located near Osborn, Mississippi in Oktibbeha County, located on 16th section land. One hundred and forty acres of this property is currently leased by a group of concerned citizens known as the "Friends of the Black Belt". For more information on becoming a "friend of the Black Belt" contact JoVonn Hill. Several Botanical, faunal, and ecological studies have been conducted at this site and this land has been used as a teaching tool by a local high school (Starkville Public High School). 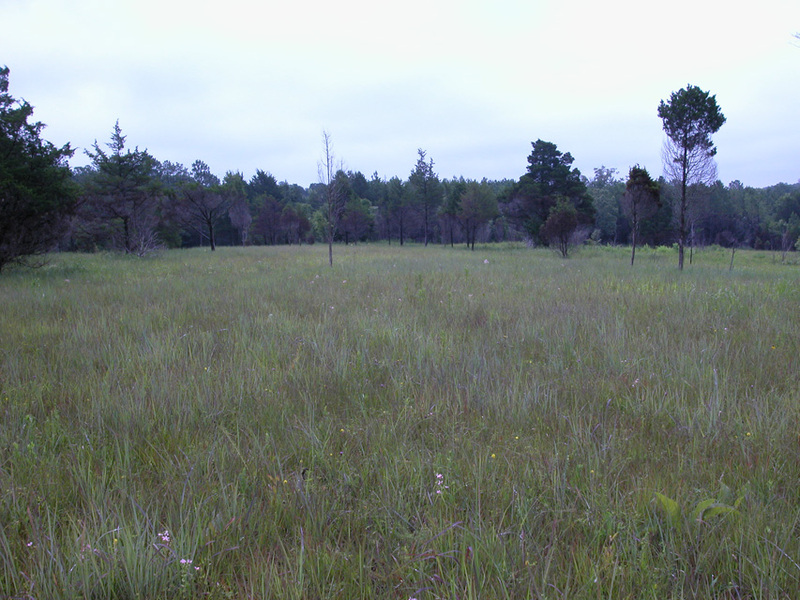 Perhaps the best Black Belt Prairie left is found in Chickasaw County, Mississippi in the Tombigbee National Forest. 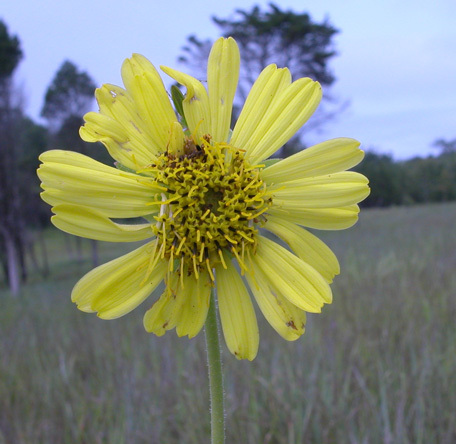 A photo of a Silphium flower.